With the launch of the new iPhone lineup less than a month away, excitement is building up around the three devices that Apple is expected to launch this fall. 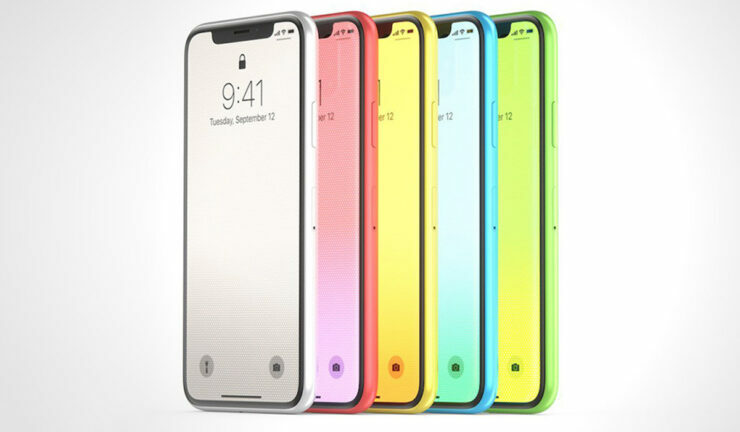 This will include an entry-level 6.1-inch LCD iPhone with all the key features of the iPhone X, a 5.8-inch iPhone X successor, and a 6.5-inch iPhone X Plus. According to a new report, sales of the new iPhone models are expected to reach 70-75 million units by the last quarter of the year, which according to DigiTimes, will be the best sales performance since the launch of the iPhone 6 and iPhone 6 Plus. The high sales will also benefit the main supply partners such as Taiwan Semiconductor Manufacturing Company (TSMC) and Foxconn. Industry insiders have revealed that the shipment momentum will be fueled by impressive upgrades and the affordability of the 6.1-inch iPhone which will enable the 2018 lineup to perform better than the two preceding generations. Even though the iPhone X flunked supercycle hopes, it still proved to be a popular phone and its price drove up the average selling price of the iPhone significantly and stabilized unit sales. Apple will apparently aim for higher shipments and marginally lower levels of ASP with this year’s iteration. The $699 6.1-inch priced iPhone, which is expected to supersede the iPhone 8 series, is expected to be the best-seller because of its price-friendliness, Face ID camera, flagship-level internal specifications, and near-bezel-less design. It is also believed that the price of the iPhone X successor will be slashed by $100, which means it will retail for $899. As for the 6.5-inch iPhone X Plus, it will become the premium model with a $999 price tag, with storage options that can push the price even higher. The shipments of the newer models will touch 70-75 million units by the end of the year, pushing up the overall sales of iPhones a lot higher than before. According to a report from Chinese analysts, the ratio of sales between the iPhone X successor, LCD iPhone, and iPhone X Plus is expected to be 2:5:3, which basically means that the sale of the 6.1-inch LCD model will be the same as the sale of the other two models combined. Do you guys think that the iPhone 9 with the 6.1-inch LCD is capable of becoming the sales juggernaut this year? Tell us down in the comments.